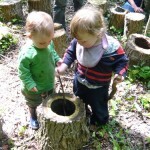 ‘Forest School’ is an ethos, an approach to learning where everyone can succeed. It is a way of facilitating and nurturing children’s learning through the provision of hands-on experiences in an inspirational, outside and natural environment. It has it’s roots in Scandanavia where outdoor nurseries are numerous and the benefits to children’s development have been well documented. Over a period of time paticipants are given increasingly challenging but achievable tasks outside that extend their skills and knowledge and develop their independence and confidence. The process of progressive achievement engenders self belief whilst the freedom to explore ignites the innate desire to learn which is present in all of us. Although forest school was initially aimed at younger children, our group works long term with teenagers who participate regularly in purposeful forestry and conservation projects. We have been supported providers of the nationally recognized John Muir Award since 2008. We are very pleased that some young people are going onto courses in countryside management and forestry as a result of their experiences with us. A high ratio of adults to pupils in small groups making detailed observation and assessments of each child’s progress guided by trained Forest School Leaders. A flexible child led approach to learning which accommodates a range of learning styles which can be adapted for different ages and all abilities. The freedom to explore using multiple senses (vital for encouraging creative, diverse and imaginative play). Learning which links to the national curriculum in innovative ways that encourage children to develop their curiosity and motivation to learn. Children are more accepting of ‘rules’ because they can help devise them. They are keen to keep attending and don’t want to jeopardise their place on the sessions. They also understand that the consequences of ignoring rules could be real danger. The inspiration of being in a ‘wilder’ place allows creativity and imaginative play to flourish. Nobody can fail. EBD children and those with a range of complex difficulties can benefit. Children often talk over their worries in this environment and develop skills to manage their emotions better. 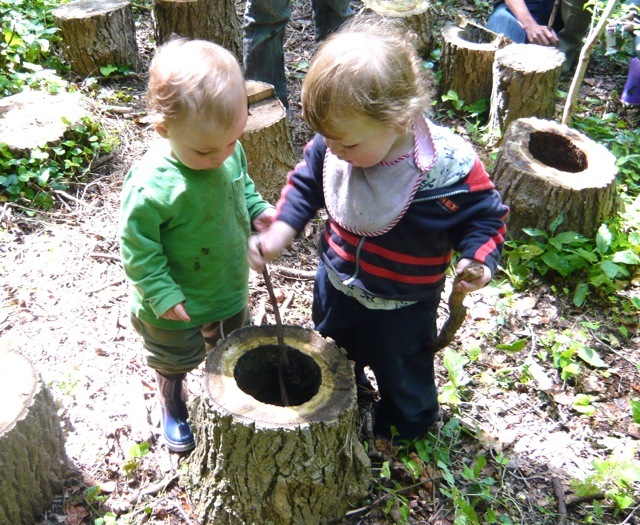 Forest School provides opportunities to link with other initiatives such as Eco Schools, SEAL (PHSE), Every child Matters, and the Manifesto for Learning Outside the Classroom. What do we do at sessions run by our group? Every Forest School Leader will use the same ethos but adopt a style of delivery appropriate to the site, group composition and the staff available. We complete detailed plans for every session but are always flexible. We often step aside and adapt to an alternative agenda worked out by the children!